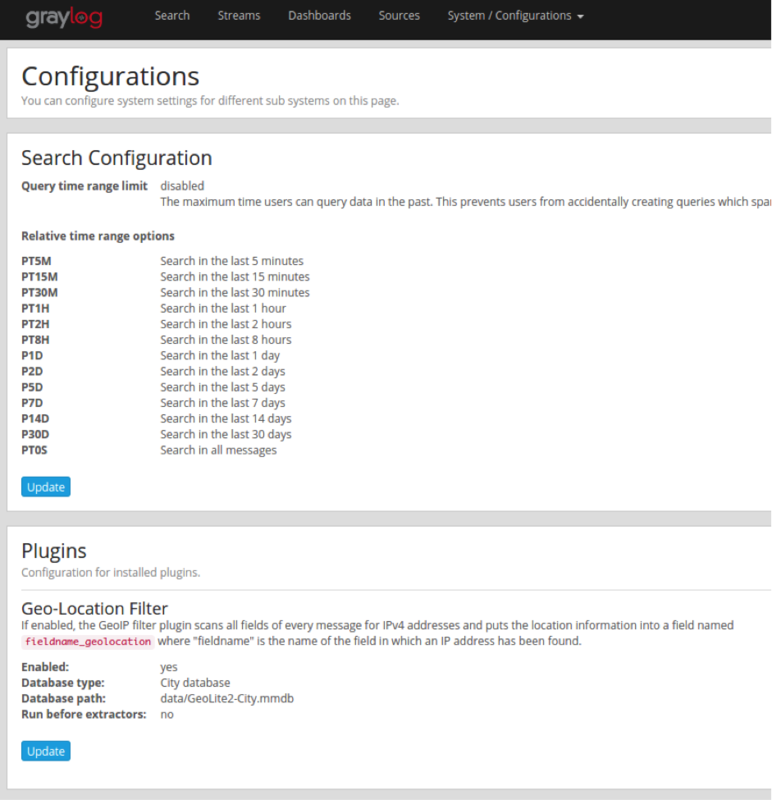 We’ve just released the fourth alpha of Graylog v2.0. If you missed the previous alphas, check out Alpha-1, Alpha-2 and Alpha-3 to get caught up on the new features that we’ve already announced. This fourth alpha release includes the shiny new Map Widget plugin, pluggable dashboard widgets and some bug fixes and improvements. Map Widget: Display your search results on a map! Graylog provides several dashboard widgets and field analyzers, but sometimes you just need some specialized widgets for your environment. Now you can do that. We made the dashboard widgets and the field analyzers pluggable so you can write your own. The map widget is actually implemented as a plugin, so you can take a look to learn how to do it. Documentation will be available with 2.0 GA. When you develop plugins like the map widget, you sometimes need a place to allow the user to customize how the plugin behaves when it is enabled. This is now possible with the pluggable system configuration UI. Every plugin can implement a UI component for configuration settings.